Easter cupcake decorations can get as complicated as you want them to be. 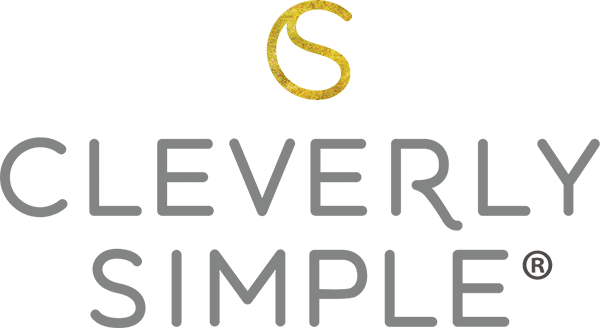 But you know me, I like them simple. Last week my kiddo had his school carnival. At the bake sale I spotted these clever flower cupcakes with petals made out of marshmallows. Genius! I decided to give them a try. I added my own pizazz with some sprinkles. I couldn’t help myself. This girl loves sprinkles. A cupcake can never have too many sprinkles in my opinion. The sprinkles and food coloring are really up to you. Instead of using food coloring for my icing to be green, I had green sprinkles. You can make these as unique as you would like them to be. They’re a great activity with the kids! First, make sure the cupcakes are well frosted. I do want to note that you want your cupcakes to bake so that they barely reach above the edge of the cupcake liner. 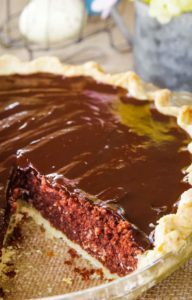 If you let them bake too high, gravity will take over with your petals. 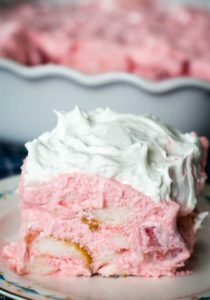 To get them to bake perfectly, you want to fill your cupcake liner about half full with batter. 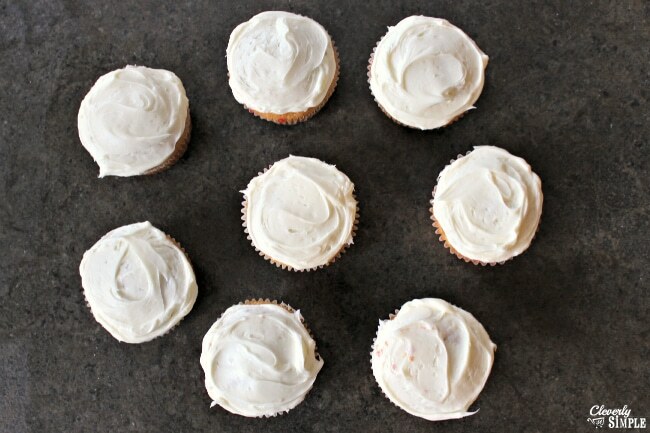 It’s better for these cupcakes to be too low, than too high. 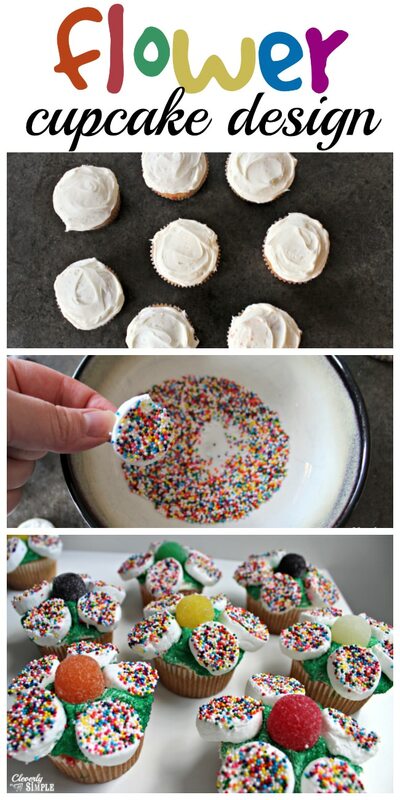 I chose to pour some green sprinkles into a bowl and then dip my cupcakes into the sprinkles to get the green color. Pretty! You could also just add food coloring to the icing and make them green that way was well. … or you could frost them all different colors. It’s spring. Go for it! The center of the cupcake is a gumdrop. This is a great step for kids. I did worry about it sticking with all the sprinkles but I gave it a little wiggle as I placed it into the icing. It stayed! For each cupcake you will need five petals. You will cut each marshmallow into thirds. It’s easiest to use a regular knife that has been dipped in very warm water. It made the cutting of the marshmallows so easy! They cut like butter. 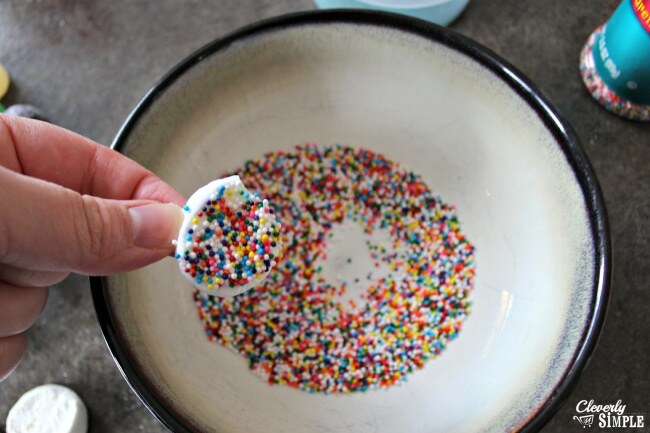 You could have different bowls with different sprinkles. I chose to go the ol’ multicolored sprinkles route. Pour them into a bowl. The marshmallows are naturally sticky on one side. You just dip them into the sprinkles and bam! they’re covered. It’s just too easy. Place the non-sprinkle covered marshmallow side down when adding them to the cupcake to begin your flower. I forgot to take a picture of the process. I blame my excitement on how easy these were to make. I did worry about them not sticking so well with the sprinkles on the icing. I had no problem. I gave each one a little wiggle and some pressure and they were there. They lasted in place through the next day when my hubby took them to work. (Did you ever wonder what I do with all these baked goods?) Some of the marshmallow slices are sticky on both sides, so that was a no brainer. However, the ones that were not sticky on the opposite side of the sprinkles did just as well. Remember, wiggle. 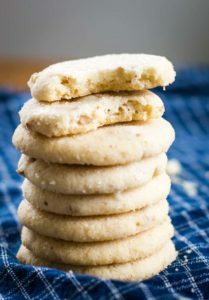 Seriously, they are so easy to make. 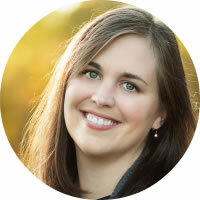 They look complicated but they are straightforward and easy. These would be a cute addition to your Easter table at very little cost. 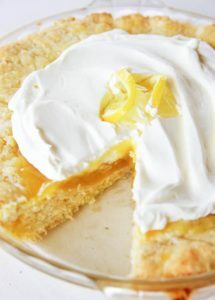 They’re also a great kid activity to celebrate spring! Easy flower cupcakes made with marshmallows. Bake cupcakes according to directions. Make sure to only fill the cupcake liner 1/2 full to allow the cupcakes to reach just to the top of the cupcake liner. Let cool completely. 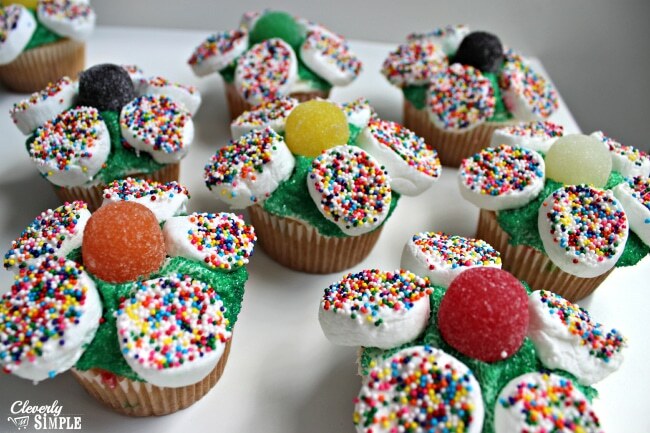 Frost cupcakes with green icing or white. 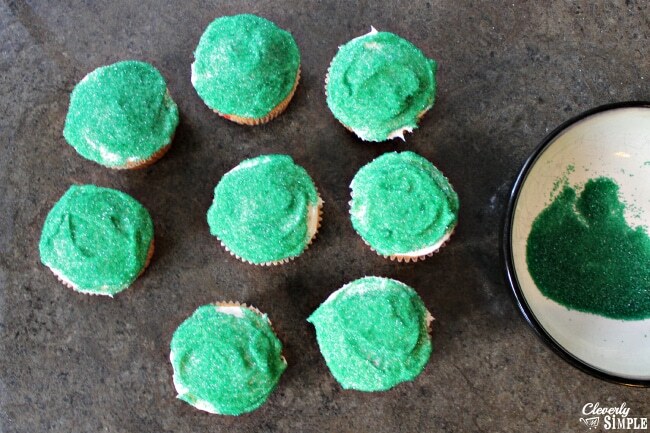 If you frosted the cupcakes green, you can skip this step. 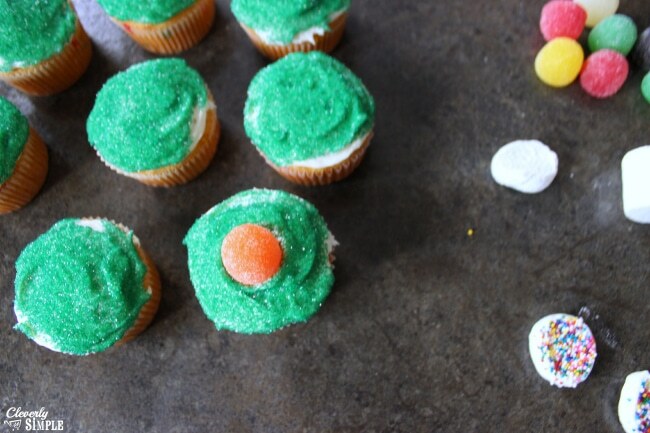 Otherwise, dip the frosted cupcakes into green sprinkles. 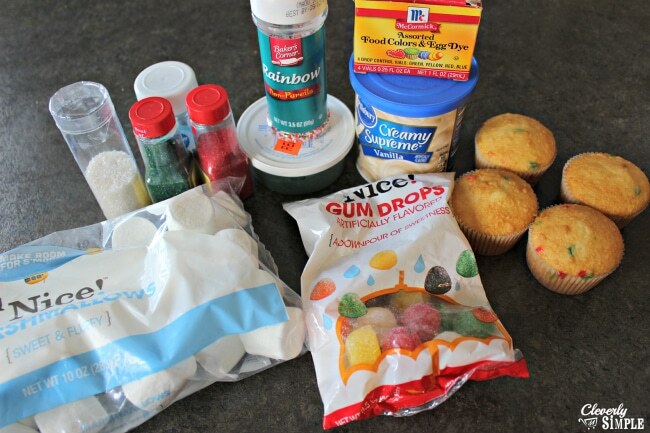 Add one gumdrop to the center of each cupcake. 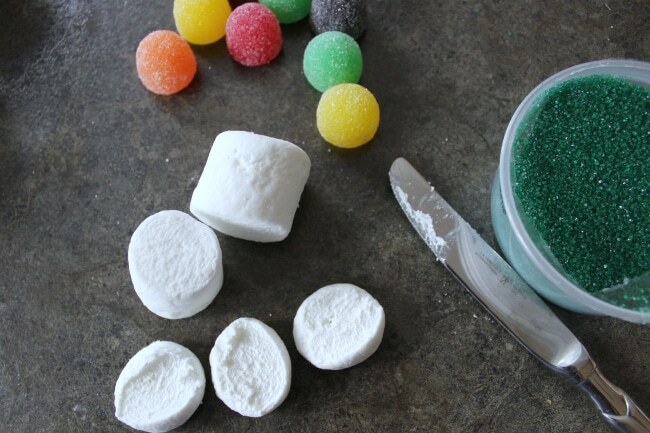 Cut the marshmallows into thirds using a knife that has been dipped in warm water. Press the sticky side of the marshmallow into the sprinkles of your choice. 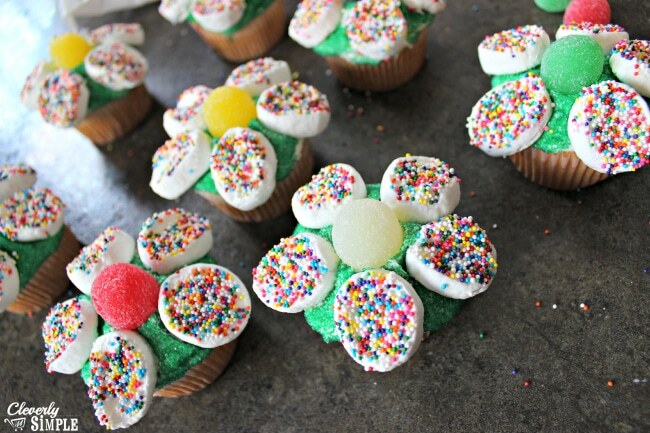 Add the marshmallows to the frosted cupcakes to form your flowers.